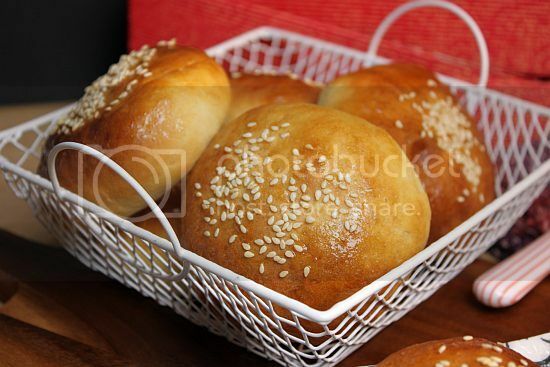 After having successfully tried making yeasted buns using the "water roux" method which were made into Mini Sliders, I went about making another batch of dough a few weeks later. But this time I decided to add BBQ pork as the filing. BBQ pork buns or "char siew buns" as we normally call them can be found in local bakeries and part of the menu items in any yum cha restaurant. For the filing, I decided to buy ready made char siew which I then diced into small pieces. I added frozen green peas as well with the meat. To season the filing I referred to a previous recipe for Baked BBQ Pork Buns . After the buns were baked, I glazed them with some maple syrup diluted with a bit of water to give it a glossy look. I must say that the buns were delicious but next time round, I will try to add in more filing. One of the must-order when you visit Cantonese restaurants!These look so good! Oh wow! The Char Siew buns looked so delicious. Actually I wanted to do this during this weekend, but I changed my mind. Yours looked so wonderfully good! This is lovely! 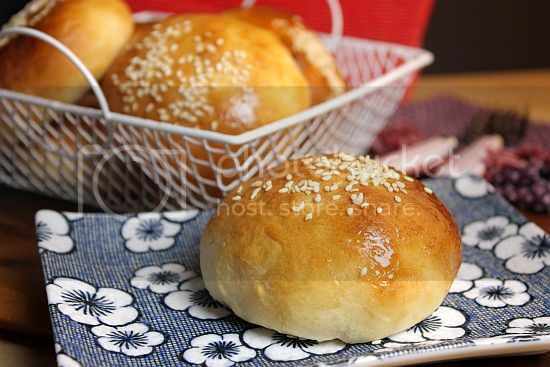 I love char siew buns! This is so creative. I've never seen buns like this before. Incredible work! The water roux method results in such light and fluffy buns! The buns look so good! I saw a push-cart of BBQ Pork Buns in a dim-sum restaurant yesterday but gave the buns a miss. Taking a second look again today, I am sure I want some now. BBQ pork bun! My hubby's favourite. I need to try this at home. This look so good, well done. 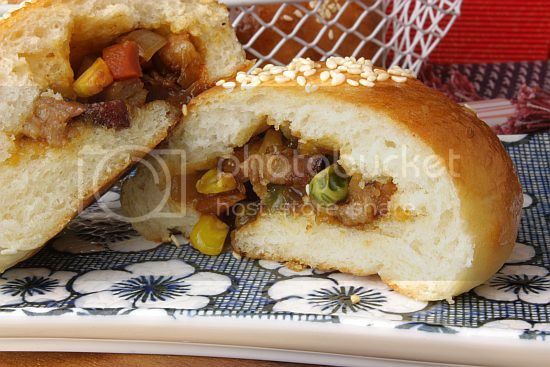 The buns looks soft and fluffy, plus with BBQ pork filling, it must be taste so good. looks very professional and delicious like those of bakery standard. You're good girl!